Ernest was one of at least eight children born to George Clifford and Emma Billing. George, born c1848 in Walworth (in Southwark, South London) was an agricultural labourer. Emma was born c1847 in Syresham, Northamptonshire. The couple married in late 1869 in the Buckingham area. In their early married life, they lived at Finmere, Oxfordshire, (a few miles south of Syresham and west of Buckingham), and it was here that their daughter, Ada, was born in 1870. Sometime after the 1871 census, the family moved to Farnham Royal where Ernest Alfred was born on 17 October 1873. He was christened on 22 March the following year. 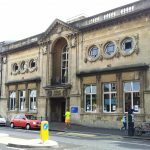 George and Emma Clifford had six more children: Frank, born in 1876; Rose, born 1879; Arthur, born 1881; Edith Helen, born 1884; Ethel Emma, born 1886; and Dora Alice born 1889. 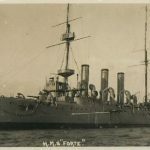 By 1901, Ernest was Acting Chief Petty Officer aboard HMS Forte. 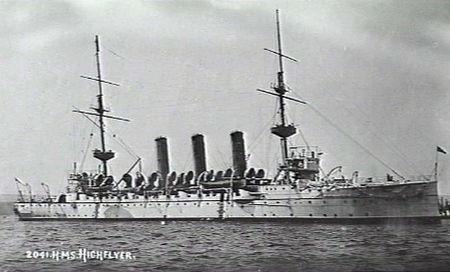 The ship saw service during the Second Boer War. Ernest was awarded the Queen’s and King’s South African medal 1899-1902. 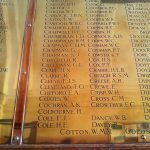 The records list his official number as CH148384, and his nearest relative, his father, George Clifford of Lawn Cottage, Datchet. The records also gave details of anyone who was receiving an allowance from the sailor’s pay. In Ernest’s case this was his mother to whom he allotted 60 shillings, or £3, per month. Ernest married 28-year-old Louisa Jane Worth in late 1902 in Fulham, London. We do not know for certain whether they had any children. If they did, the children perhaps wouldn’t have seen their father very often as Ernest remained at sea. 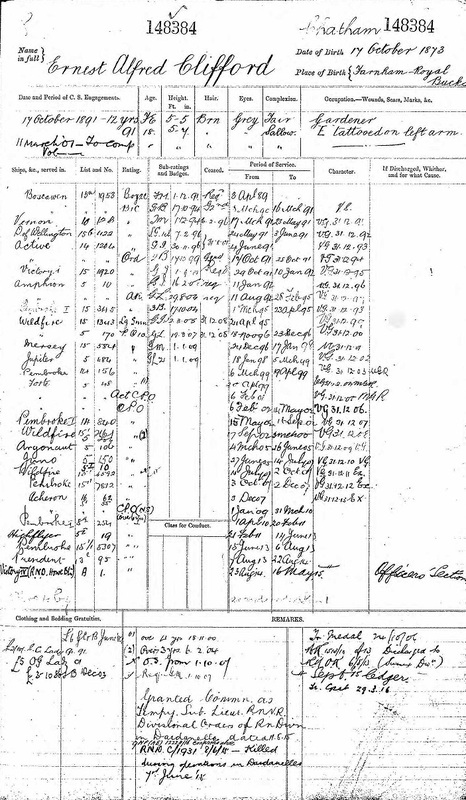 In the 1911 census, Ernest Alfred Clifford, by then 37, was Chief Petty Officer aboard HMS Highflyer, sailing around China and the East Indies. He served aboard the ship as Chief Petty Officer from February 1911 to June 1913. 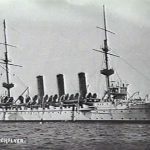 She was deployed in the Persian Gulf to stop the trafficking of arms, particularly from Muscat, and Ernest was awarded the Naval General Service Medal with Clasp “Persian Gulf” 1909-14 (HMS Highflyer) The clasp was awarded for operations against pirates, gun-runners and slavers. 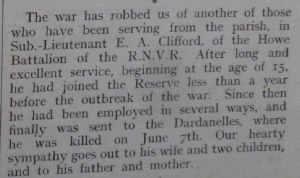 Less than a year before the outbreak of WWI, after 23 years in the Navy, Ernest joined the Royal Naval Volunteer Reserve (RNVR). Around this time, Louisa was living at 3 Coastguard Cottages in Hove. These cottages no longer exist but they used to be close to the Coastguard Station and RNVR Depot, near the corner of Hove Street and Kingsway. 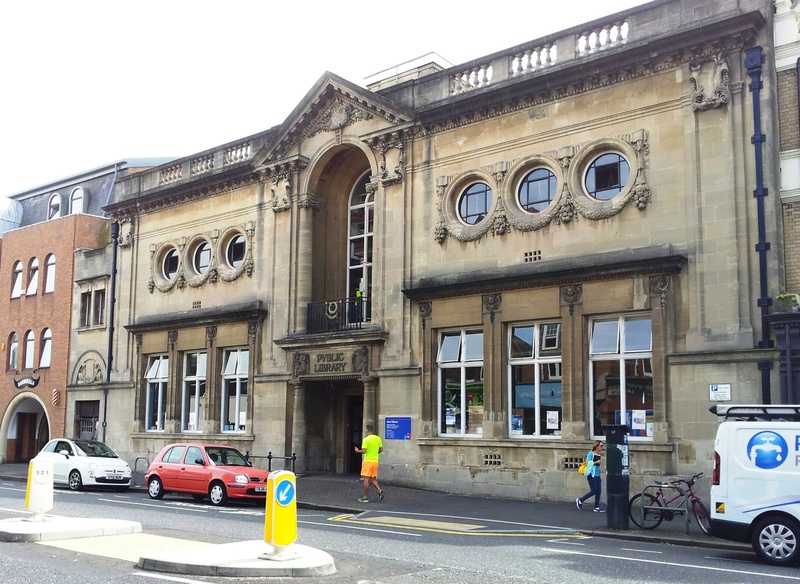 The RNVR also had premises in nearby Victoria Terrace. Following the outbreak of war, in August 1914 the 63rd Royal Naval Division was formed, mobilising thousands of Royal Navy and Royal Marine reservists and volunteers, including Ernest. There were not enough ships for all these men and so it was decided to train the two Naval Reserve brigades as infantry to form an infantry division with the Marine Brigade. There were eight battalions named after naval commanders. Ernest was in Howe (6th) Battalion A/1, a naval infantry battalion, from 19 August 1914 until his death in 1915. Training was slow because resources were needed elsewhere, and the men were poorly equipped. Rifles were drawn from Royal Navy stocks and only arrived at the end of September. These were older charger-loading Lee Enfield rifles rather than the more modern short magazine ones which were issued to the army. The division was not provided with medical, artillery or engineer units. In October 1914, the men were sent off to the trenches to defend Antwerp then, in February and March 1915, the Division sailed to Lemnos and on to Gallipoli. The eight-month campaign in Gallipoli was fought by Commonwealth and French forces in an attempt to force Turkey out of the war, to relieve the deadlock of the Western Front in France and Belgium, and to open a supply route to Russia through the Dardanelles and the Black Sea. 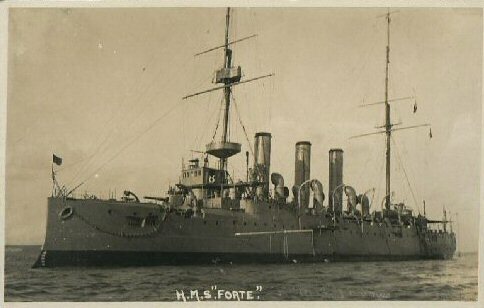 Ernest was promoted to Temporary Sub Lieutenant at Cape Helles. (Service number: ex-CH/148384 Chief Petty Officer RN). 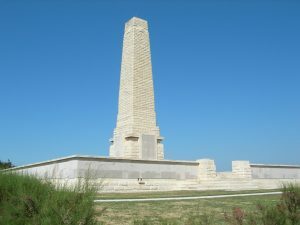 The landing at Cape Helles was part of the amphibious invasion of the Gallipoli peninsula by British and French forces on 25 April 1915. The landing was mismanaged by the British commander and many lives were lost. For the following two months, the British fought several costly battles to reach their objectives of the first day but they were defeated by the Ottoman Army. The total casualties for the Gallipoli Campaign were more than half a million. The Dardanelles Campaign remains one of the most controversial battles of WWI. 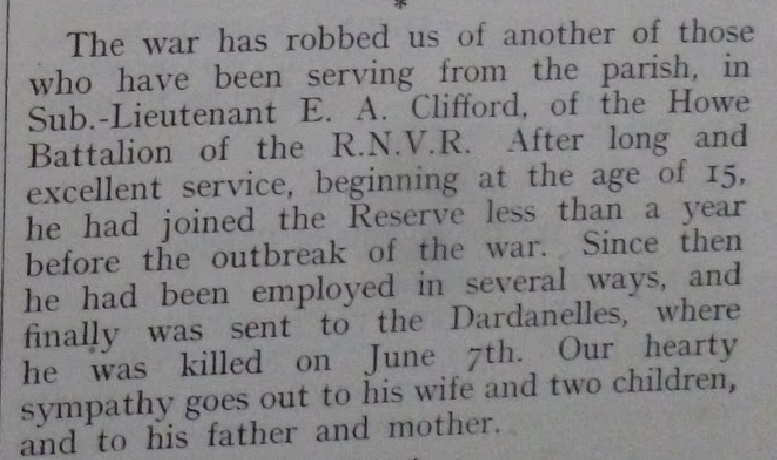 Ernest’s death was reported in Datchet’s Parish Magazine in July 1915. Ernest received the 1914 Star, Victory and British Medals, which were issued to his wife, Louisa. His records show that the 1914-15 Star was erroneously issued and then replaced with the 1914 Star. Louisa Jane Clifford died in Hove in 1969. Ernest has no known burial site but he is remembered at the Helles Memorial. His name is on panels 8-15, to the left of the steps in the photograph, right. 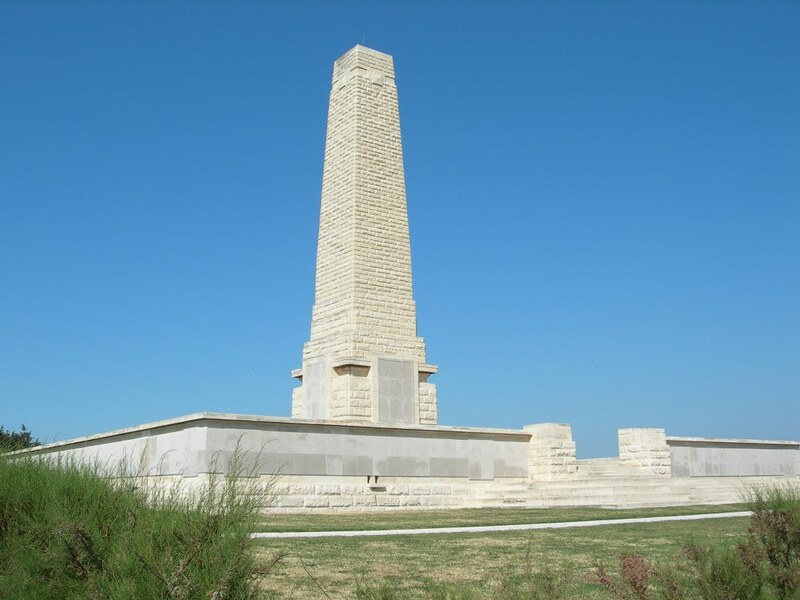 The Helles Memorial is the Commonwealth battle memorial for the whole Gallipoli campaign and also the place of commemoration for many of the servicemen who died there and have no known grave. 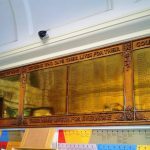 There are also panels for those who died or were buried at sea in Gallipoli waters. Over 20,000 names are commemorated on this memorial. 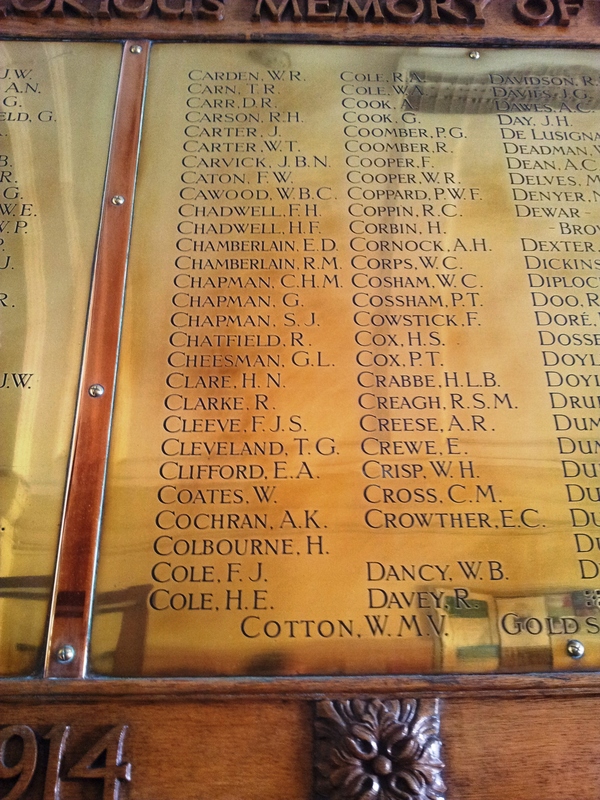 Ernest is also remembered on Datchet’s WWI memorial and in Hove where he and Louisa had been living. 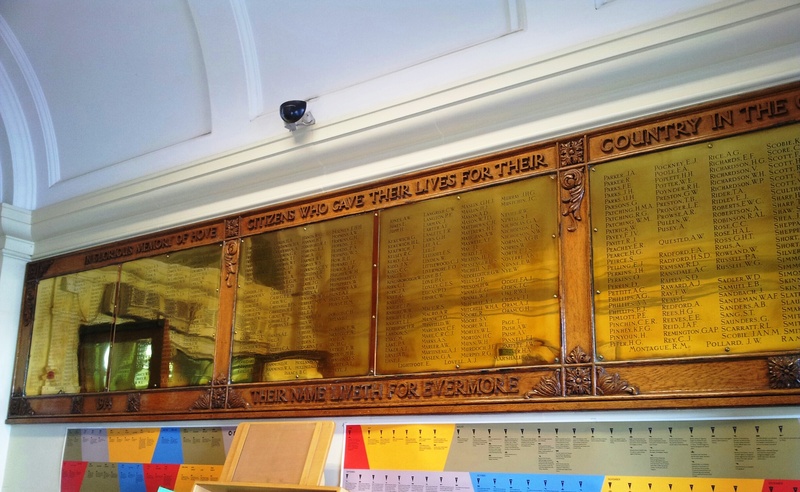 The names of those lost in WWI are listed on the walls of Hove Library, see images below.